Hilarious sign hack from the 2008 election. Spotted in New Hampshire. 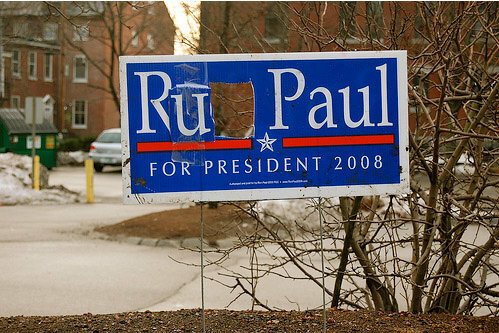 I don’t get it, what’s funny about the name “Ru Paul” ? My question is more what did it say before? Raul Paul? Ron Paul. He ran for president.